"The Judge" offers a square toe crepe boot for your enjoyment. Conservative Blue/Gray blended shaft stitching adds to the rich look of this men's Western boot. 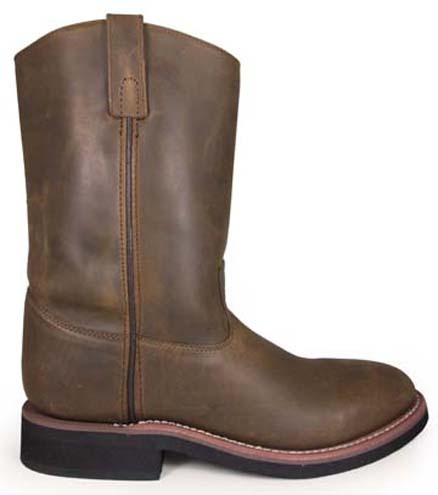 Crepe sole cowboy boots are really good on cement or hard dirt surfaces. This men's boot allows a budget price on a much nicer than average boot. This leather can be polished to a gloss, or oiled for a more satin finish. The cowboy crepe sole boot has made it out of the arena and into mainstream casual boot styling.